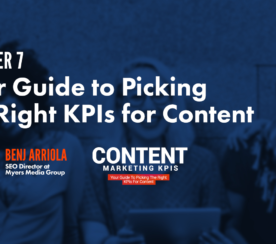 Content key performance indicators (KPIs): they will make or break your content marketing efforts. 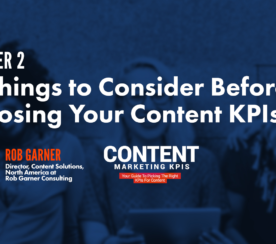 Because when you do not consider the content KPIs that will go into your ongoing reporting – and ultimately your overall content strategy – you can make errors in judgment that ultimately will doom your content marketing (and SEO) efforts. When you consider or communicate incorrect key performance indicators, you also run into making decisions based on a result that may or may not be true. When these results are reported, uncertainties can creep into your content strategy, and can ultimately derail your success. 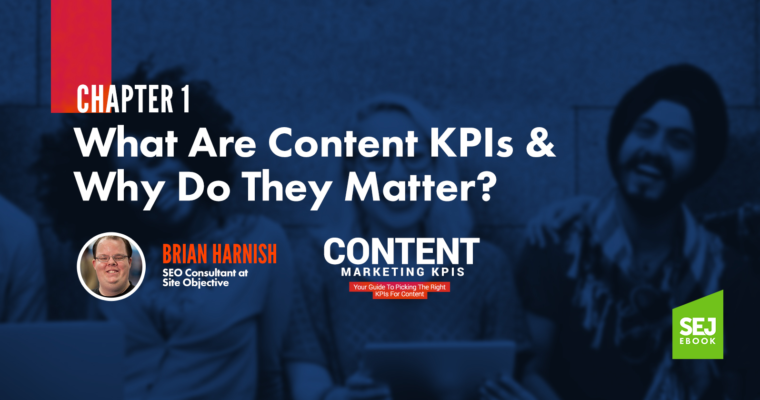 Let’s take a look at the most common content KPIs and what they can do to help you become a more successful digital marketer. An SEO typically uses these metrics to report on increases in performance in the search results, usually reporting these to their client, shareholders of their company, or their boss. How a site is performing in the search results. Their organic reach (or how much of a market share they are gaining in terms of keyword phrases). How many people are viewing the site. How much time people are spending on the site. When these metrics are reported incorrectly, the result can be bad judgment calls and strategic decisions. This is not good for the SEO implementation as a whole. Say that you found a user spent so much time on the site because they were looking at certain content one month, but then the next month, they were not. While many things can cause this issue, it is important to rule out technical errors and related specific issues that can cause it. This is because a situation like this can also be seasonal, depending on the type of website we’re dealing with. If you make a change based on one month’s worth of metrics without considering the entire 12 months (or even a few years’ worth of data) you could make a judgment call that does not consider the seasonal aspect, and this can be bad for the future. You have now wasted a perfectly good execution based on false assumptions about certain metrics at play. These types of metrics are extremely useful for calculating the business side of things. They help ensure that website metrics are translating to the most important business metric that determines whether a company keeps running: ROI, or return on investment. Let’s not kid ourselves. SEO, content marketing, or social media marketing, while creative endeavors, are also business endeavors. These efforts need to be reported on accurately, succinctly, and in such a way that communicates the proper ROI to those in the know and in charge. This will allow a business to keep its doors open, so that it can continue running for the foreseeable future. Say you want to tailor content marketing toward keyword phrases with particular content execution strategies in mind. How do you track ROI? One example would be to use keyword phrases and always make sure they have some performance in the form of search volume. And ALWAYS make sure to use the exact keyword phrases somewhere on the page that you’re optimizing. A few months later, as you nail down the reporting of said content metrics and ROI, you can report on whether the content itself was executed in an effective manner. The key is to always make sure that you can track the performance of these keyword phrases in some way. If there is no search volume, but there are other metrics associated with positive increases in performance (such as CPC – Cost Per Click on the PPC side – or market competition), this could be an indicator that the keyword phrase is competitive enough that it has some viability as an SEO keyword. But, as an example: just using a keyword because it has better user intent without any search volume is a mistake, and a wise SEO would do better to choose the keyword with less of an intent, but also has search volume to help in easier tracking and reporting on results. Another business conversion metric to keep an eye on includes conversion rates. Conversion rates tell you the other side of how your content is really performing for you. If you have content on your site that has low conversion rates, and people barely sign up for your services, it may be time to consider A/B testing to identify where improvements can be made to ensure that the content improves in a positive direction. Yet one more important metric to keep reporting tabs on includes reviews. This is an important reputation management tactic that can make or break your website’s performance. Reviews form a perception of your business to potential clients. This perception can make clients want to do business with you, or drive you away. Katie has had a business for a year and has nothing but stellar reviews for her product and service. A major headhunter from a Fortune 500 company comes across her service and is impressed with all of her positive reviews. This leads to a contract with one of the top companies in the world, and a major win for Katie. This one contract catapulted her income to more than hundreds of thousands of dollars per year, all because she was careful about her reviews. Take Taryn. She has had a floundering business for over four years, with not very much happening for her positively. Her attitude toward customers is awful, so much so, that they have complained about her for a year. After many complaints, the board of directors of the administration for her license finds out and suspends her after verifying the complaints are, in fact, true. This is one example where a negative reputation, without any reputation management involved to mitigate the risk, can come into play for a very negative outcome for the business proprietor. Many of these metrics that we discuss in this book fall into similar veins, and they really can make or break an online marketing strategy’s success when they are not properly considered. When we think of social engagement metrics, we usually think about metrics involved with social media like Facebook, Twitter, LinkedIn, and Instagram. And the former is correct in terms of how to think about these metrics. But did you know that social engagement metrics can also make or break an online marketing strategy? 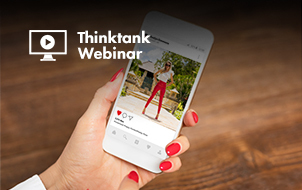 Think about it: social engagement is a major method of increasing a brand’s reach towards real consumers online for a reason: because this is where real people go online to hang out, chat, and get involved with their favorite brands, celebrities, friends, and discussions. It’s more than just a social platform – it’s a conversational social outreach explosion. 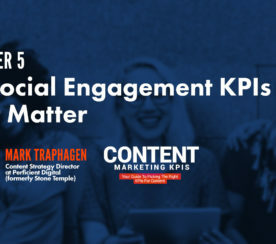 Making sure that you tally the right social engagement metrics is an important part in the reporting of the effectiveness of your content KPI wins. Say for example: you wanted to report on the most popular content that your market segment consumes. Your market segment read your most recent piece of content – a 7,000-word piece – over 5,000 times, shared your most recent piece of content 2,500 times on Facebook, 2,700 times on Twitter, and 1,700 times on LinkedIn. Looking at the content, we see that for our market, a 7,000-word piece of content ended up doing extremely well with our growing audience. This lets us know that our audience prefers meaty content with substance about our topic, and that they will share it when it reaches the right people. This is one example of effective KPI reporting, while it considers several metrics, helps us form our content strategy for next time, and tells us specifically how to tailor our content for our audience. Also, to continue our theme on errors in judgment that can occur when you don’t consider other contributing metrics: say our content was a particularly effective piece of content on Christmas holiday wrapping that was shared during the month of December. Not looking up this piece of information could mislead you to believe that all content for your blog should be written in a similar fashion. While this is an egregious example, it is something that happens quite often. Again, considering all the information, especially when making decisions based on content KPI reporting data will help you make better, more informed choices on what to do next in your content strategy. These metrics are important to a website’s performance KPIs because they tell us how effective content is and how effectively it is gathering traffic and drawing people to your website. 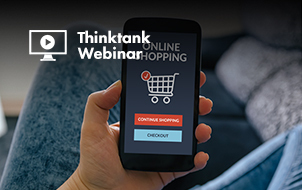 Things like conversion rates, time on page, bounce rate, and page views can all be skewed or otherwise erroneously reported on, leading to errors in judgment about where to go next in the overall website content strategy. Let’s take our content example above that was shared over 5,000 times. Taking a look into the conversion rate shows a pretty high conversion rate of over 50 percent, which means that it is likely that we obtained 2,500 sales of the service as a result. But, if you dig deeper into user engagement metrics on the order placement side after the order was placed, we found that the sale was one sale for 2,500 instances of the service to one person, not 2,500 sales. This means that one person out of 5,000 shares bought 2,500 instances of the service. Not very impressive anymore now is it? This is where errors in judgment and furthering your content strategy can be tricky, because if you don’t take into account that additional dimension, you could potentially see that 2,500 sales of a service were completed, but not that they were completed by one person. This is where things like goals in Google Analytics or UTM parameters can come into play. 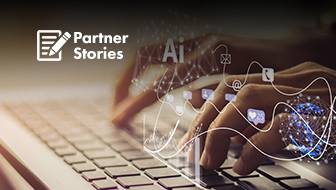 By tying social conversion metrics into the goal completions in Google Analytics, you can drill down more effectively into how someone ultimately completed the sale of those services through user engagement metrics. User engagement metrics are also useful for finding out what people are physically doing on your site. For example, if you find that most traffic from Google is being seen on 10,000 valuable pages, but you have 25,000 pages on the site, then you know that you need to cut 15,000 pages that are not being seen as anything valuable whatsoever. 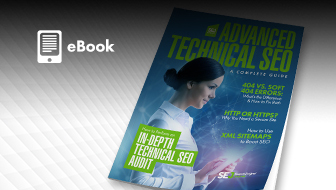 But, if you have a site with 25,000 pages, all 25,000 pages are receiving traffic, but people are spending more time on certain pages than others, then you know that you need to conduct A/B testing. The goal of this A/B testing would be to figure out how to make your remaining pages interesting enough for this traffic to engage and ultimately convert on your site. Many content KPIs are available for reporting on how your content is performing online. These KPIs can further be used to identify and shape your overall content strategy. By choosing the right KPIs, putting together the right data, and reaching the correct conclusions based on what the key performance indicators tell you, it is possible to adjust your SEO strategy to match what your audience expects, and what they will ultimately successfully consume. When you do this effectively, it is possible to zero in on good judgment calls that will ultimately make you successful in the long run. You will also be able to eventually nail down what it will take to make your content strategy succeed and destroy your competition in the space. No one ever succeeded in a vacuum without the proper data to back up their conclusions. Proper KPIs are so important in today’s reporting and can make or break your success.